When you find yourself temped to just buy a frozen meal, don’t. 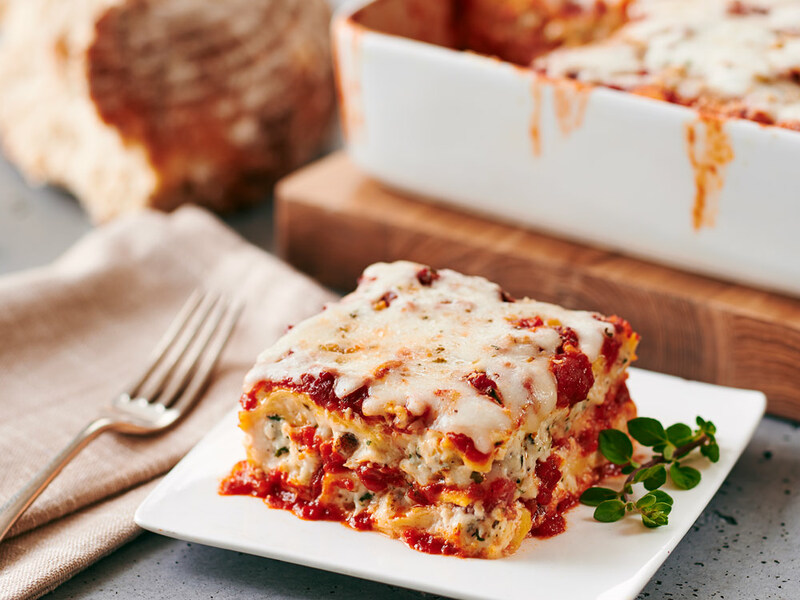 You can cook this “homemade” lasagna in less than 60 minutes, and it’s way more impressive than that stuff from Stouffer’s. Enjoy this Lazy Lasagna! Preheat oven to 350°F. Cover the bottom of a 9 x 13 inch baking dish with Heirloom Marinara sauce, approx. ½ cup.